Here we continue our series on the common types of thermal management technologies and how they work. 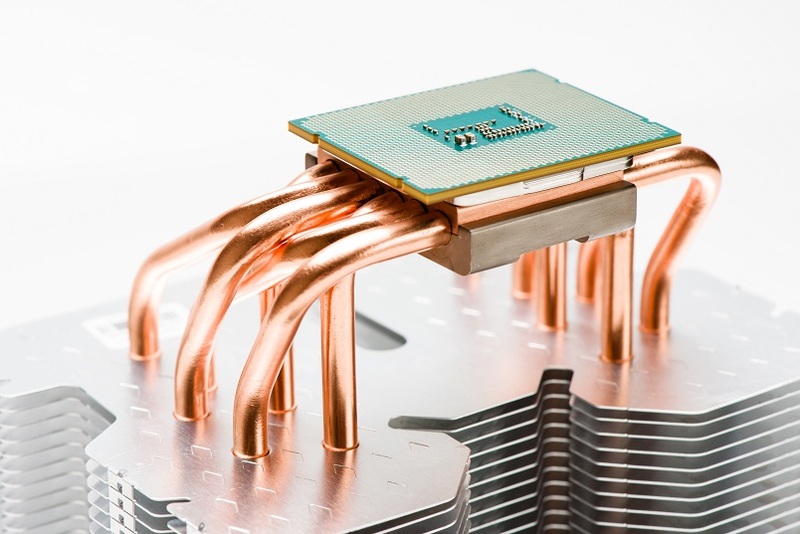 This month, we’re focusing on the use of liquid cooling in cold plates. Similar to aluminum heat pipe design and technology, cold plates use a cooling liquid and a thermally conductive metal as thermal management solutions. But rather than relying on liquid phase change, cold plates use input tubes, output tubes, and machined flow paths to transfer heat. Cold plates in their most basic form are composed of a metal block (usually custom extruded aluminum or copper) with liquid-filled channels that flow from an input tube to an output tube. The box is placed directly against a heat-generating component. Heat flows through the aluminum block and into the moving liquid inside. The liquid moves through several internal channels within the block to absorb as much heat as possible, then moves outside the cold plate through output tubes, allowing the heat to dissipate into the ambient. Do You Need Aluminum Heat Pipe Heatsink Aluminum Services? If you’re looking for thermal management technologies, Getec Industrial can help. We provide custom heat sinks, aluminum channel extrusion, and extruded aluminum heat sink manufacturing. For more information about our large aluminum heatsink company, contact us online or call us at 888-000-8499.